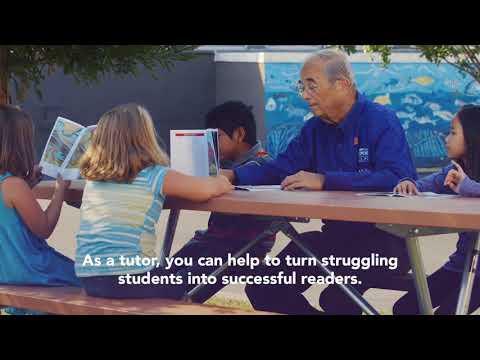 Learn about becoming a volunteer literacy tutor and see how you can help kids succeed in school. We are looking for volunteers age 50+ to help local schools turn their struggling students into successful, confident readers. With approximately 2 days per week, 2-3 hours per day, you can make a lasting impact in a child’s life. To learn more about how you can get involved in the Experience Corps program, click here. Research shows that having a mentor greatly increases a student’s potential for success so much so that children not only have higher self-esteem, they also perform better in school and our Experience Corps volunteers fit that role perfectly! National March into Literacy Month kicks off with the birthday celebration of beloved children’s book author, Dr. Seuss’, on March 2nd! Happy birthday, Dr. Seuss! For children, creating a relationship with books is critical. Statistics show that reading at a proficient level by the 4th grade is a strong indicator for high school graduation success. 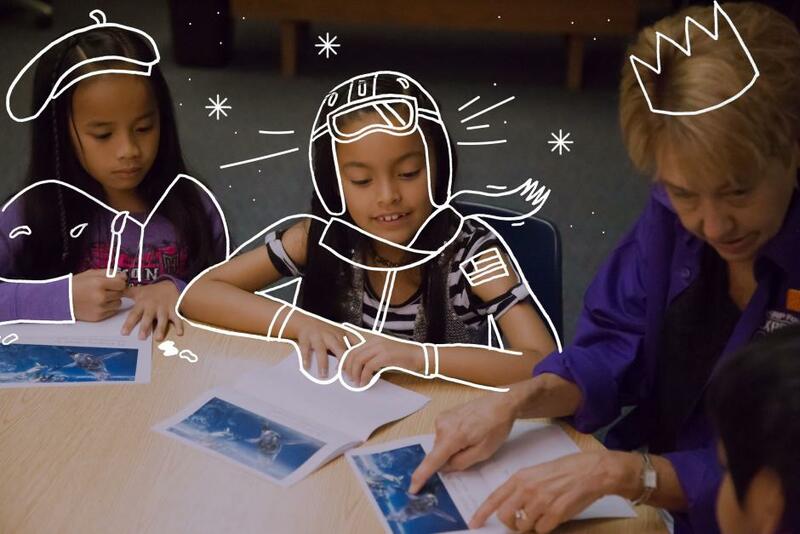 Research shows that having a mentor greatly increases a student’s potential for success so much so that children not only have higher self-esteem, they also perform better in school. 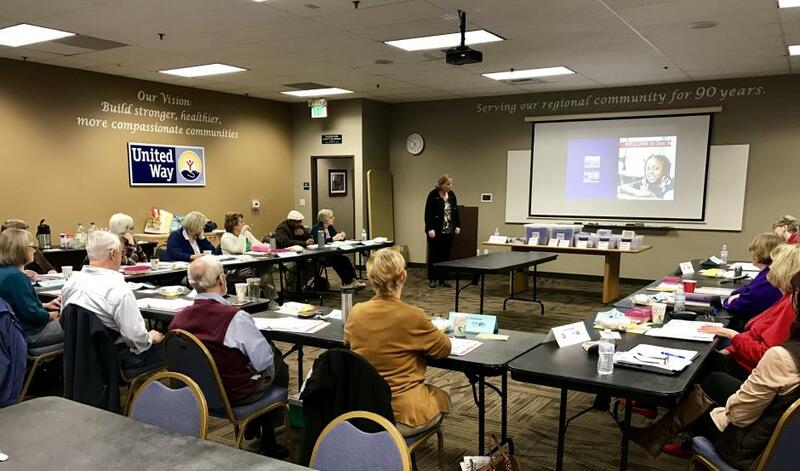 Through United Way’s partnership with AARP Experience Corps, volunteers ages 50 and older, spend two hours a day two days each week in classrooms helping young children improve their reading skills so they succeed in school and beyond. Our volunteers not only help improve reading skills, but also form special bonds with the children. Experience Corps needs people like you! United Way’s Experience Corps program has completed its first school semester and is going strong! 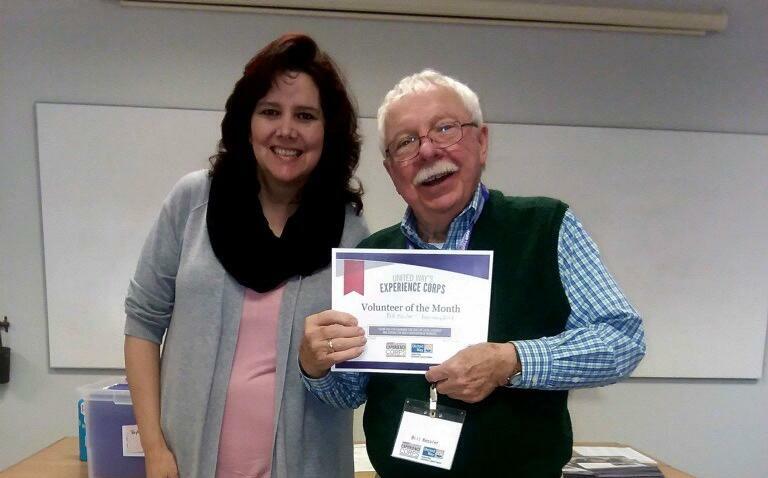 Experience Corps is a reading tutor program which matches volunteers ages 50+ with small groups of kindergarten through third grade students in local schools. 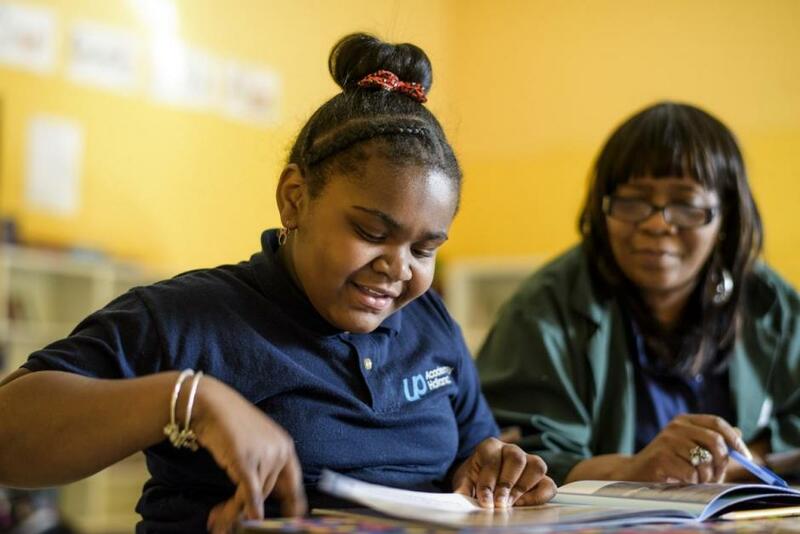 What does it mean to volunteer to help kids read? As an AARP Foundation Experience Corps volunteer you are working as a partner in assisting schools reach their student achievement goals. After training, you will have the opportunity to assist students in small groups, two times a week throughout the school year. 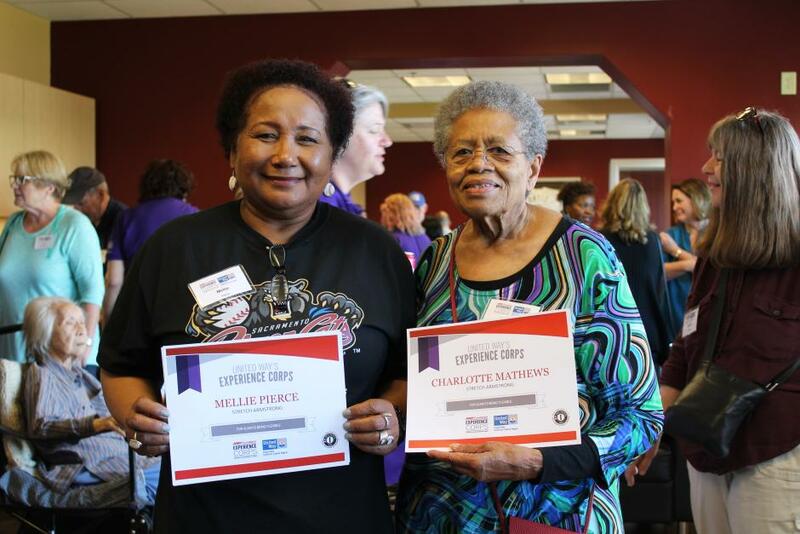 Experience Corps specifically recruit adults who are 50+ years of age to be tutors. Volunteer tutors serve in teams with a higher commitment of hours per week, approximately 2 days per week, 2-3 hours per day. This allows the program to have a greater presence and impact on the school environment because there is consistency, dedication and reliability. 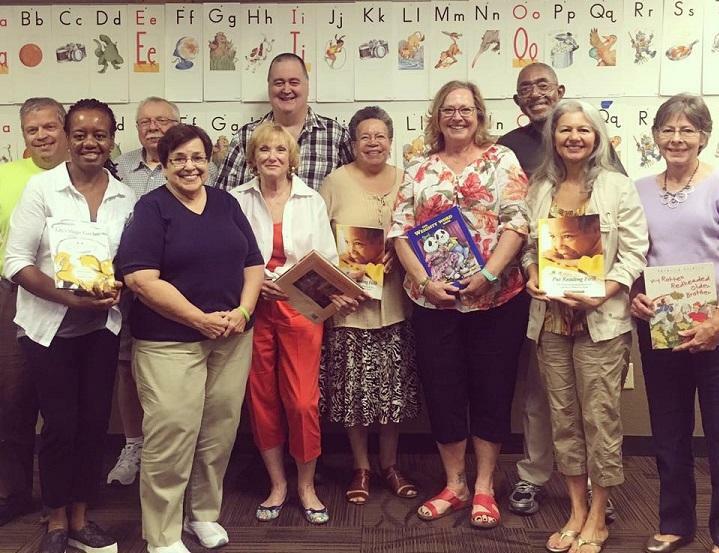 We’ve received a grant from the AARP Foundation to have volunteers age 50 and up help young kids with their reading! United Way California Capital Region is one of only seven nonprofits across the country selected for this grant. We give a high five to our partner Sacramento Chinese Community Service Center for being another one of the grantees for this important project. We know that improving children’s early literacy has a direct impact on their success in higher education, and we know that higher education is the equalizer that breaks the cycle of poverty. This subgrant will allow us to build on the success of Experience Corps’ intergenerational model and help many more children grow up prepared for success.